Venezuela’s opposition called Monday for a 24-hour nationwide strike to pressure President Nicolas Maduro to drop plans to rewrite the constitution while the United States threatened “strong and swift economic actions” against his socialist administration if it ignores the will of voters in a referendum. President Donald Trump joined other world leaders in urging Maduro to heed Sunday’s symbolic plebiscite in which millions of voters rejected the plan to remake Venezuela’s political system, which the opposition calls a power grab by the ruling party as it struggles with shortages, inflation and more than 100 days of anti-government protests. The vote came two weeks before Venezuela’s government will hold an election to select a constituent assembly charged with rewriting the constitution. Canada, Mexico, Brazil and the European Union have also come out against the effort. Despite the global and domestic calls for him to cancel the constituent assembly, Maduro vowed to press ahead with it. “I won’t be intimidated,” Venezuela’s president said in a speech at the presidential palace. Maduro’s allies have called on the assembly to impose executive branch authority over the few remaining institutions outside the control of the ruling party. 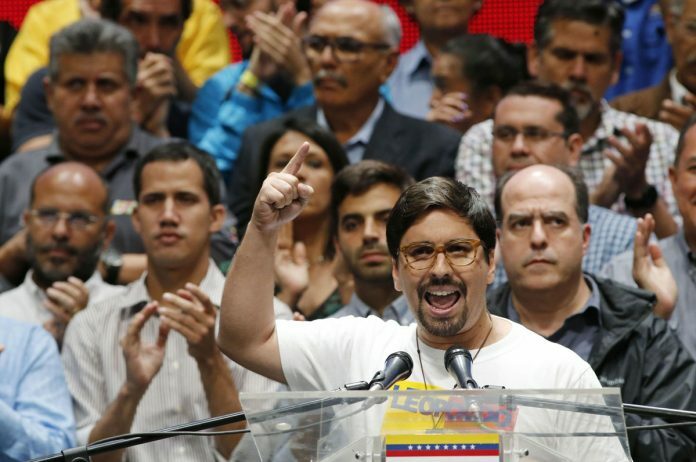 On Monday, opposition leaders laid out their plans about how they will resist Maduro in the wake of the referendum. They said the opposition-controlled National Assembly would name new members to the government-dominated Supreme Court, setting up a showdown with Maduro. Opposition parties also said they plan to sign a declaration calling for the formation of an alternative “government of national unity,” a step toward total rejection of government authority. He noted, however, that the opposition moves were to be implemented in phases over the next week, giving both sides the opportunity to negotiate possible concessions. After some procedural moves in the National Assembly on Tuesday, the opposition said it would launch a plan it called “zero hour” on Wednesday that includes an agreement to form an alternate government and create 2,000 local committees that would function as street-level support for the opposition. That will be followed Thursday by a nationwide strike, which could bring much of Venezuela’s already sputtering economy to a standstill. Venezuela’s largest chamber of commerce told The Associated Press that its members would not punish employees for participating in the strike. On Friday, the opposition will name 13 judges to the supreme court to replace those named by the outgoing, ruling party-dominated congress in 2015 in a process that legal experts say violated nomination procedures. The nominations would not give the opposition a supreme court majority but are almost certain to be rejected by the current court and the executive branch, making them a largely symbolic tactic to increase pressure on Maduro. “We call on the whole country to launch a 24-hour national strike this Thursday, a massive, non-violent protest, as a way to pressure the government and to prepare for the final steps, which will be next week, to confront this fraud … and to restore constitutional order,” opposition leader Freddy Guevara said. He didn’t say what the final steps would be. More than three months of street protests, which have left at least 93 people dead and 1,500 wounded. More than 500 protesters and government opponents have been jailed. The opposition said 7.6 million Venezuelans participated in Sunday’s symbolic referendum, which the government labeled an internal party poll with no relevance for the country. Sunday’s vote was marred by violence when a 61-year-old woman was killed and four people wounded by gunfire after government supporters on motorcycles swarmed an opposition polling site at a church in western Caracas. In smaller numbers in many parts of the capital, government supporters also went to polling stations on Sunday in a rehearsal for the July 30 vote. The latest: Venezuela’s opposition called for a 24-hour nationwide strike to pressure President Nicolas Maduro to drop plans to rewrite the constitution.